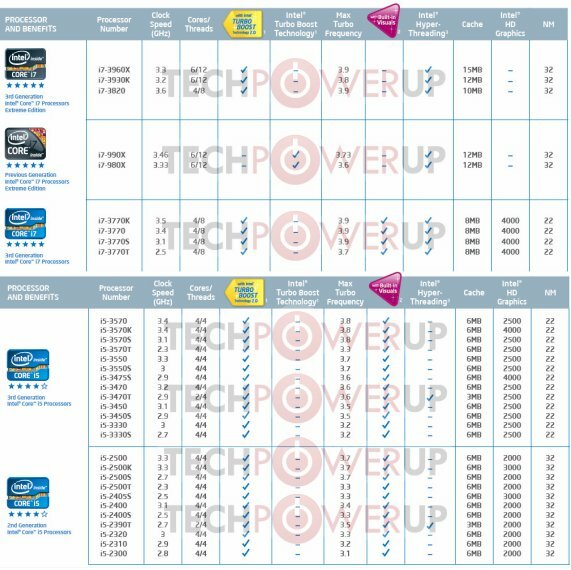 Intel revealed the basic specifications of its Ivy Bridge processors, you can check out the slides over at TechPowerUp. These include details of its desktop Core i7, Core i5 processor models, notebook Core i3, Core i5, Core i7, and their corresponding ULV variants, and so on. Specifications include model numbers, clock speeds, Turbo Boost 2.0 speeds, and basic features such as Built-in Visuals (integrated graphics), caches, HyperThreading, and fab process.